Logistics manager Michelle Lee, 36, remembers when her mother tried to fatten her up after she had just gotten married. “I was under-weight by a few kilograms and my mother was worried that I would have difficulty conceiving. She would cook nutritious and healthy lunch and dinners daily and deliver the food to my workplace and my home. She would also provide me with slow-boiled soup twice a week,” shares Lee. Lee’s mother was adamant that she needed to be of a healthy weight to ensure that she would conceive. This is not an old wives’ tale. According to dietitian Janice Chong of Mount Alvernia Hospital, studies have shown that body weight does affect fertility. “Being overweight or obese could lead to fertility issues, for both males and females. On the other side, being underweight can negatively affect hormone production and menstruation in women. 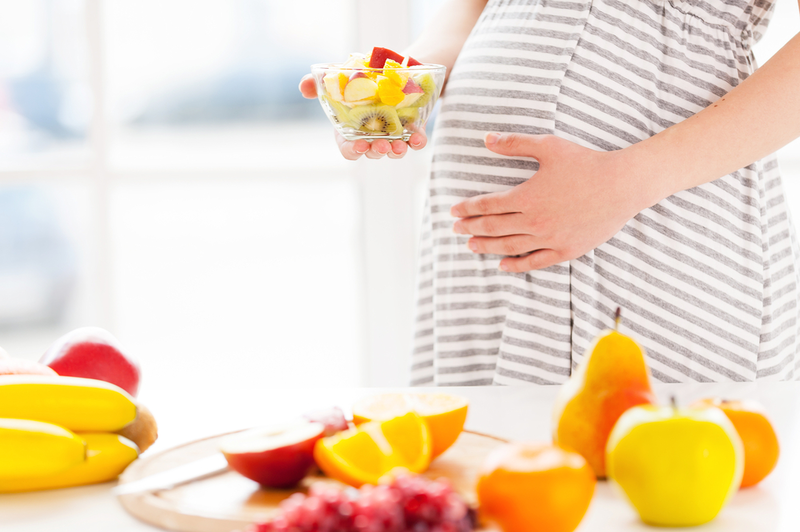 Hence, it’s important to have a well-balanced diet to get healthy weight which could increase the chance of getting pregnant,” explains Chong. Helps protect the unborn baby from birth defects of the brain and spinal cord. Get started on a folic acid supplement of at least 400 to 800mcg for more advice on the appropriate dosage. Food sources: Dark green leafy vegetables, legumes, nuts, citrus fruits and fortified cereals. Helps red blood cell production and build iron stores for baby. Builds a foundation for babies’ bones and teeth and prevents osteoporosis in women. Food sources: Low-fat dairy such as milk yoghurt and cheese, green leafy vegetables, calcium-fortified soymilk, bean curd, fortified cereals and juices. Regulates hormone production and is an excellent nutrient for baby’s brain development. Studies have shown that protein is essential for good quality embryos and better egg quality. Food sources: Beans, nuts, seeds, and other legumes, such as lentils and chickpeas, and soy products such as tofu and taukwa. One study found that women who consumed more than the equivalent of one cup of coffee per day were half as likely to become pregnant, per cycle, as compared to women who drank less. Caffeinated drinks include coffee, tea, soft drinks and cocoa-based beverages. A few studies have shown that alcohol consumption is associated with an increased risk of infertility and delayed time to get pregnant. A study published in 2018 revealed that drinking soda was linked with a lower fertility rate for both men and women. complications. For example, baked goods made with shortening, and fried foods. While fish is rich in protein and other nutrients that are beneficial for pregnant women, studies have demonstrated that mercury consumption may be related to infertility and miscarriage. Therefore, for those trying to conceive, it is advisable to avoid high mercury fish such as shark, swordfish, king mackerel and tilefish to limit the exposure to mercury. What you eat plays an important role in increasing your potential to conceive. Eating healthily and eating well will set the foundation to give your baby a good developmental head start in life.